Through the Bookshelf service, the Norwegian National Library makes available Norwegian books published up to 2000. This has been possible due to an agreement with Kopinor, representing publishers, authors and other rightsholders. 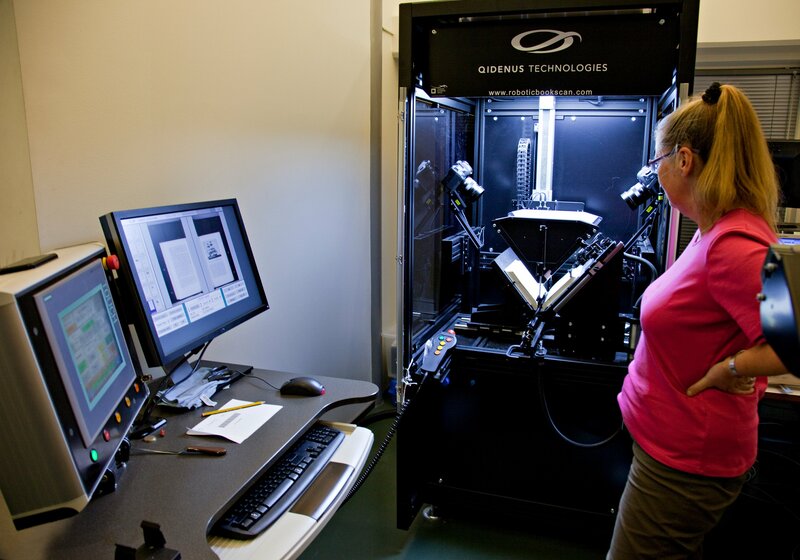 Digitisation of books in the Norwegian National Library. The licensing agreement is in accordance with the regulations of the Extended Collective Licence. The Bookshelf is a free service for everyone with a Norwegian IP address. Books that are protected by copyright, however, are not adapted for downloading or printouts. Authors, other creators and publishers are paid through the collective agreement. The agreement also allows for individual books to be removed from the Bookshelf at the rightsholder’s request. May 2009, the Norwegian National Library launched the Bookshelf website, which made available all Norwegian books from the 1690s, 1790s, 1890s and 1990s. The agreement for the continuation of the Bookshelf was signed 28 August, 2012.